I saw this posted on Dr. Wayne Dyer’s Facebook page, and loved the clever way the words pointed towards the truth! When I experience pain, there is that still small voice at the back of my consciousness reminding me that suffering is created by the ego. My true self is still whole; nothing can be given or taken away from being. When in pain reminding myself that my attachment to the situation is causing the suffering, and that the situation already is how it is regardless of my reaction, a small space opens up around the pain that allows healing to work its way through. 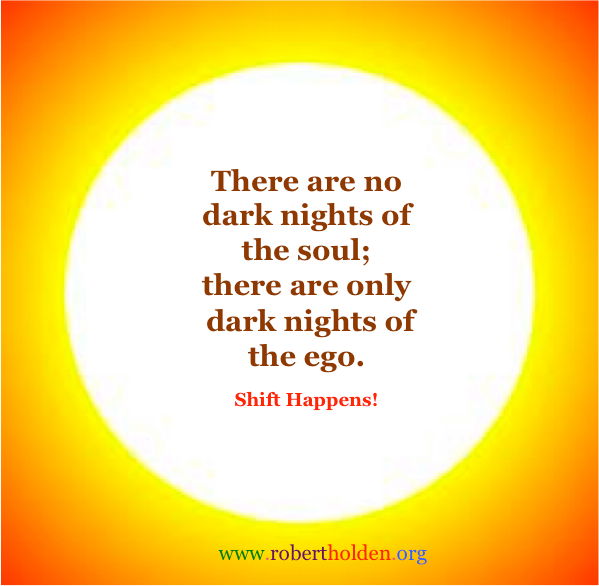 To paraphrase Tolle, suffering is ego created but is ultimately ego destructive. To say it another way, no matter what you are going through a world of greater peace and joy is perpetually blooming in the midst of the ashes.